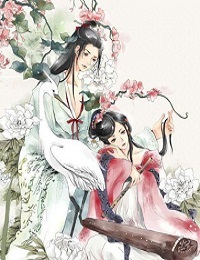 The Chinese of this Chinese story "The Chinese Shoe Salesmen Story--Lu Ren Xi Yue" is 鲁人徙越, and Pin Yin lǔ rén xǐ yuè. I bet you have heard of the story of two shoe salesmen selling shoes in Africa, in which one salesman reports back, "This is a terrible business opportunity, no-one wears shoes." But the other says,"There is so much opportunity. No-one wears shoes.I can sell to the whole country!" In China,there is a very similar but much earlier story. 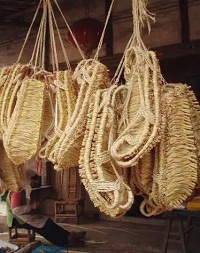 During the Spring and Autumn period, there was a craftsman in the state of Lu, who was skilled in weaving hemp sandals, and his wife was good at weaving fine white silk. One day the couple thought of moving to the state of Yue in the south. "You will be in dire straits," one of their friends warned them. "Why?" asked the man of Lu. "Hemp sandals are for walking but the people of Yue walk barefoot. White silk is for making hats but the people of Yue go about bare-headed. If you go to a place where your skills are utterly useless, how can you hope to do well?" "I'm on the contrary opinion," said the man of Lu. " I think I will make a fortune in Yue. All I have to do is to let people there know the benefits of wearing shoes and hats." This Chines idiom story is from "Huai Nan Zi", a Taoist book written in Han Dynasty. In the past,this story was often used to show the Taoist wisdom: what looks like a setback, may actually be a gift in disguise. Now, however, this story becomes a classic sample to teach marketing dudes to keep positive and identify hidden bussiness opportunities.